PAT Testing is mainly carried out in commercial premises. 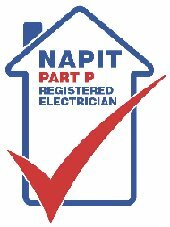 It is a legal requirement that all electrical equipment used in a commercial/office enviroment must be tested for electrical safety. Items are tested at various times depending upon use of the equipment. An example would be that a computer is tested every two years where as a kettle would be tested yearly. If you are worried about the safety of your electrical equipment in your home, this can also be tested. Platten Electrics has the latest PAT Testing equipment and software which can produce either hard copies of results or CD copies depending on requirements. Pricing is very competitive so feel free to contact Platten Electrics for a quote.